Perfect Money Hosting Payment Method Added! Web hosting pay with Perfect Money. Perfect Money is a leading financial service allowing the users to make instant payments and to make money transfers securely on the Internet opening unique opportunities to Internet users and owners of the Internet businesses. Shop Without Sharing Financial Information! Buy hosting using Perfect Money! One of the most effective ways to protect yourself from identity theft is to keep your financial information private. Perfect Money enables you to pay without sharing your financial information with sellers. This is the safest way to buy hosting or any other product on the internet. Perfect Money - Pay anyone with an email address or phone number - instantly. You control how you pay: from your bank account, credit card or your Perfect Money balance. No matter where your mouse takes you, Perfect Money lets you shop without sharing your financial information. With Perfect Money, privacy is built in. Signing up for a Perfect Money account is easy, and takes just a few minutes to complete. Once you're done, you can send your payment in minutes! Perfect Money Hosting support is available 24/7. Just contact us and we will do anything in our power to help you no matter if it is a payment related problem or a hosting problem! We will be there for your! How to deposit funds into Perfect Money ? You can send Bank Wire (SWIFT / IBAN) from your online banking account directly to your PM account. Find out how easy it is to fund your Perfect Money account using a bank wire. 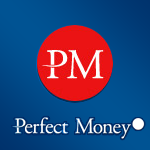 Perfect Money e-currency can be purchased with other e-currency, Western Union, Money Gram or just for cash. Deposit funds via Certified Exchange Partners. Create a order at "Deposit" section of your account, make a deposit at the payment terminal near you. The funds are immediately credited to your account. 150,000 payment terminals available across Russian Federation and Ukraine. You can buy the e-Voucher for e-currency or Western Union with a variety of online exchange services or auctions. Send SMS from your cell phone and receive money instantly to your Perfect Money account.